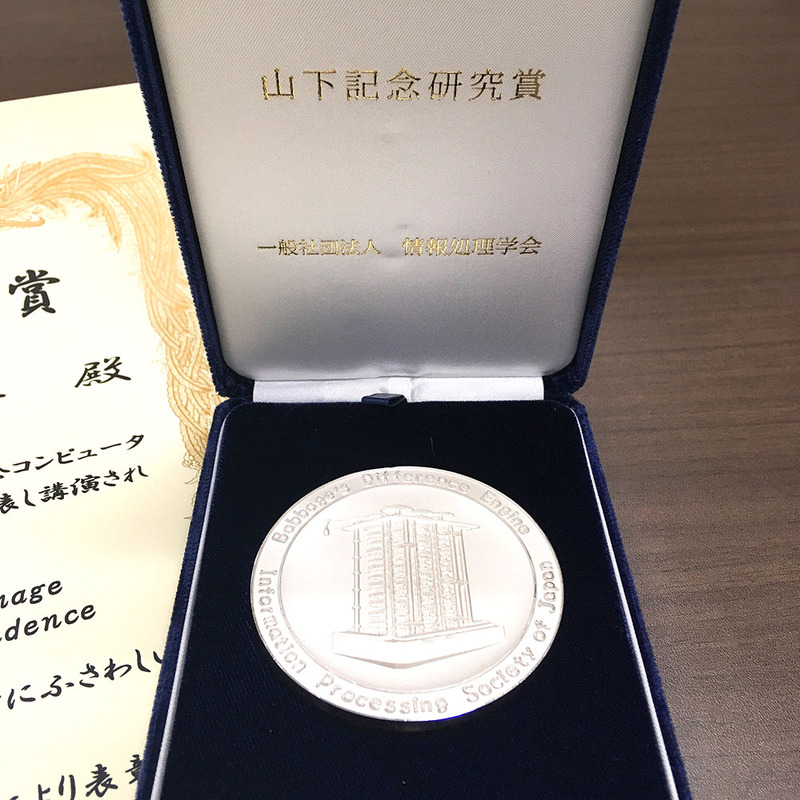 Postdoctoral Researcher Tatsunori Taniai, Discrete Optimization Unit(Unit Leader Takanori Maehara), RIKEN AIP received FY2018 IPSJ Yamashita SIG Research Award. The award ceremony was held at the 81st National Convention of IPSJ at Fukuoka University on March 14-16, 2019. 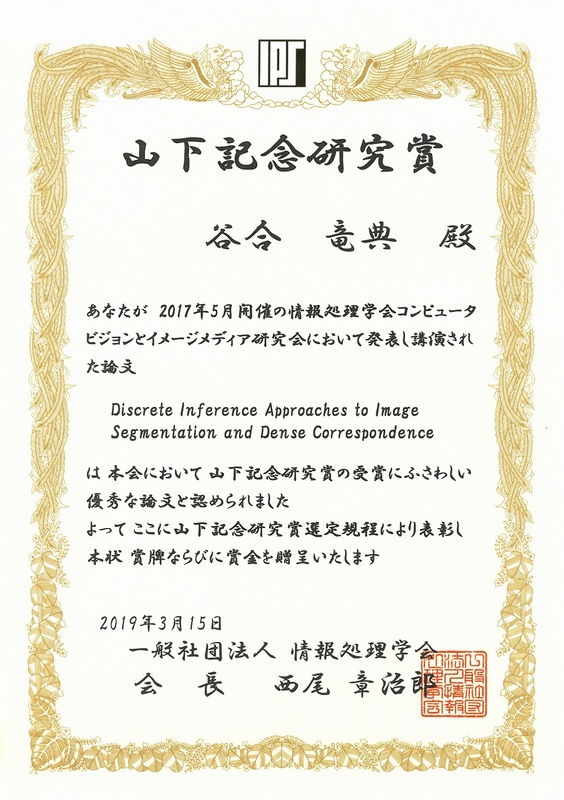 Tatsunori Taniai “Discrete Inference Approaches to Image Segmentation and Dense Correspondence”.